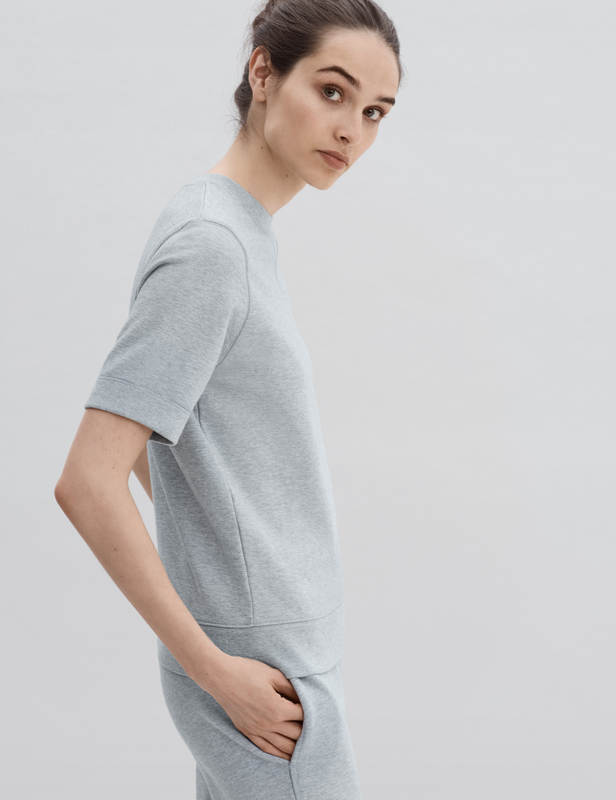 Refine your athletic leisure lineup with our elevated interpretation of this classic staple. 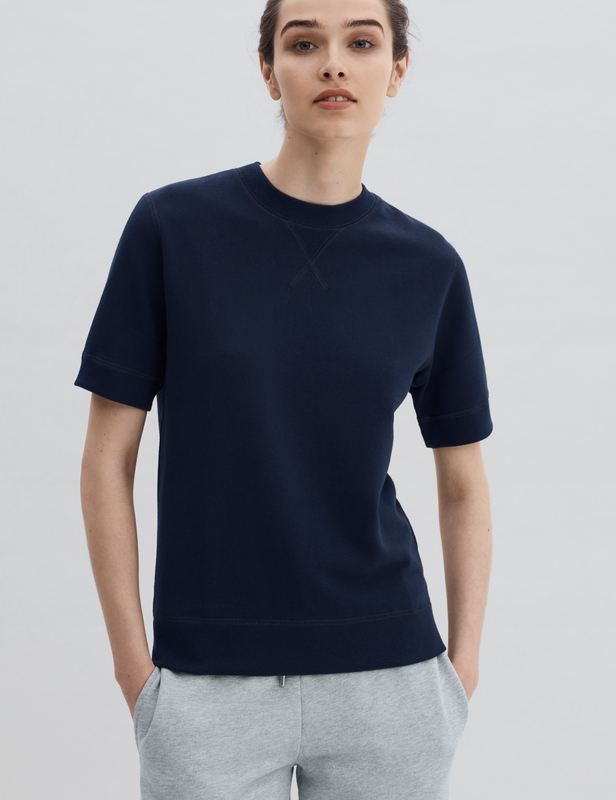 Our short sleeve sweatshirt is handmade from exceptionally soft, yet structured, classic loopback jersey knit fabric with a reinforced ‘V’ at the neck that furthers its vintage aesthetic feel. This product is made with the finest Peruvian Pima cotton. 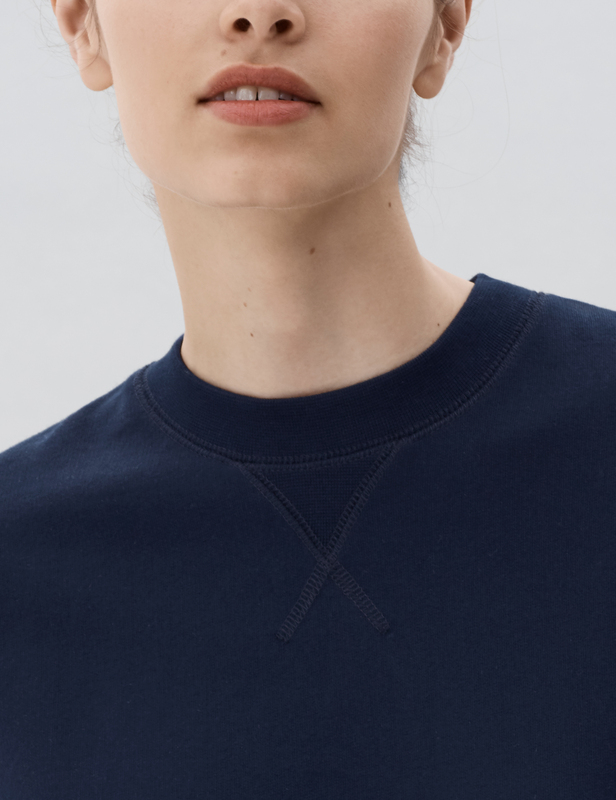 Nothing is more appealing on down days than a simple sweatshirt; we have elevated this wardrobe staple to new heights with our specially developed fabric crafted from the finest Peruvian Pima cotton. 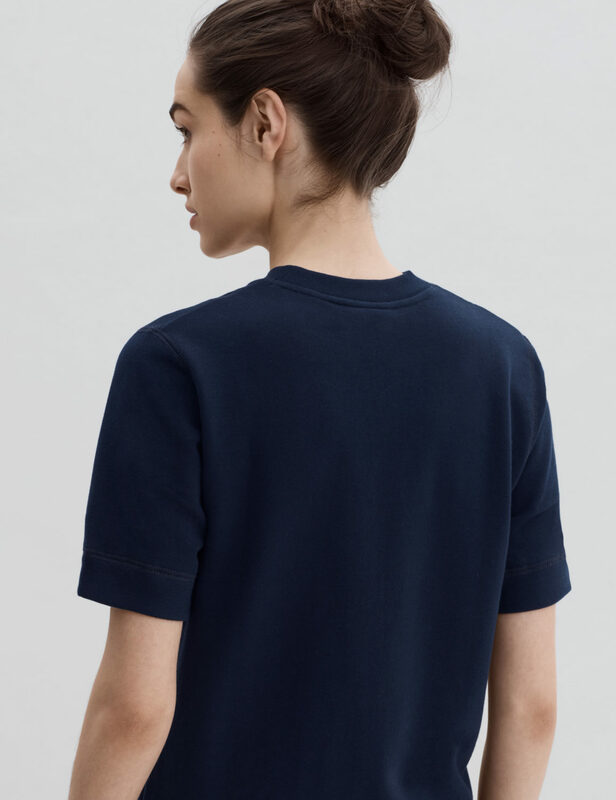 The semi-fitted cut is ideal for layering over your favorite shirts and tees.